This episode features the return of Tony Kim to the podcast. Tony is well known in the convention world for his blog, Crazy4ComicCon, that covers all things San Diego Comic Con. We first talked with Tony back in episode #42, where he gives great tips for con-goers and enterprising nerds. 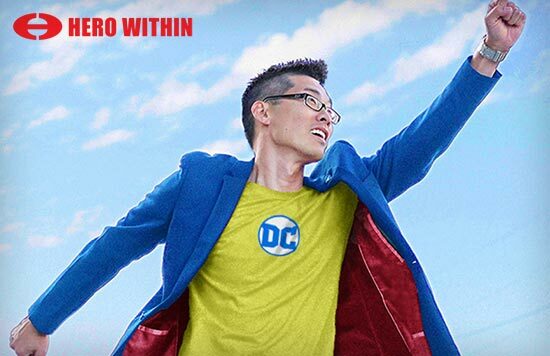 Now, though, he has a new endeavor called Hero Within, a super stylish and classy clothing line for guys with a distinct nerdy flair. Their brand celebrates the heroism found in all of us. They are fanboys and fangirls with many nerd passions but who also love to create inspired geek fashion. Their goal is to create sophisticated outerwear, that reflects both a love for pop culture but also a drive to be influencers in business, culture and in the community. Hero Within’s first group of blazers, pea coats and jackets are Justice League themed, and are officially licensed by DC Comics. They’re available for pre-order now at HeroWithinStore.com. 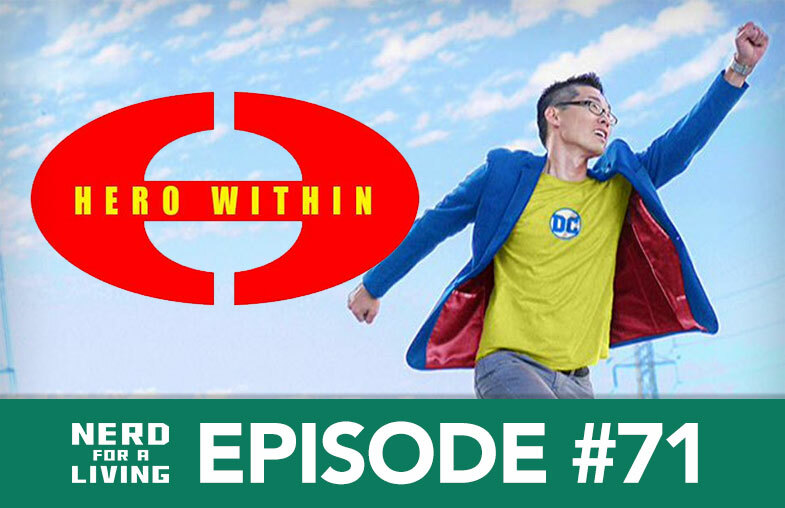 We talk about how Hero Within got started and what inspired Tony’s jump from content creator to fashion startup. We also discuss his busy slate of events and programming at San Diego Comic Con, including the return of the Game of Bloggers meet-up.